– Thread for each show will be posted 5 Hours before Live Strarts. – Live Stream links will work 15 Minutes before live starts. – English 720p HD Dailymotion Will be updated as show goes on. – Japanese 720p HD Dailymotion Will be updated after live. – Other hostings will be updated after live. 5th Sep – Preshow – Didnt Air Online | Not Available In On-Demand Yet. DESTRUCTION in KOBE Thread . – KUSHIDA Vs Ali BUSH! 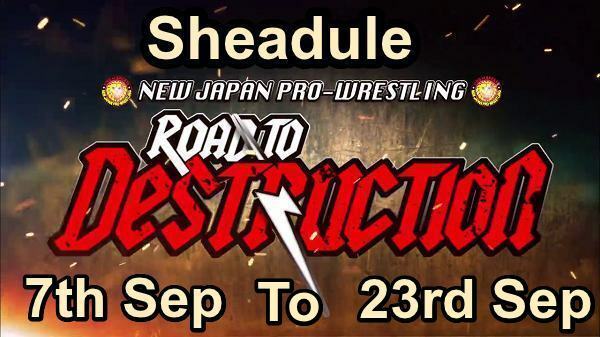 NJPW Road To Destruction 2018 Day 1 Thread . Road To Destruction Day 2 Thread . – BUSHI, SANADA & “King of Darkness” EVIL Vs El Desperado, Yoshinobu Kanemaru & Zack Sabre Jr.
NJPW G1 Climax 28 All Days. I’m loving this, you are awesome! I really hope you do this for all the tours. THANKS!